Giovanni Brancato wrote a book called Il Mare Dentro (or The Sea Inside) in Italian. His love for tackling tough conditions in different courses around his native Italy is clearly evident. The extreme swimmer and biologist from Messina whose nicknames include the Squalo delle Eolie (Aeolian Shark) and Il guerriero del mare (Sea Warrior) has a deep passion for planning and swimming his long stage swims. What is remarkable is that his career took off and is culminating in his 50s and 60s. In, around and to and from Italy, he has completed a number of unprecedented assisted stage swims during his career: from Corsica to Liguria, from Tunisia to Sardinia, from Olbia to Ostia, from France's Isole porquerolles to Stintino, and 24 miles from l'isola di Stromboli to l' isola di Lipari. At the age of 53, Brancato completed an assisted stage swim from Alassio in northern Italy to France's island of Corsica in 2008. 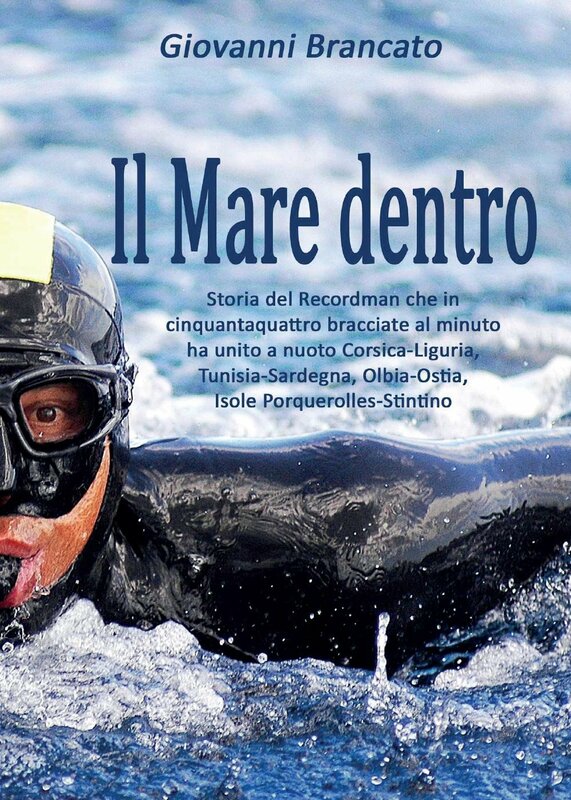 At the age of 55, Brancato completed a 7-day assisted stage swim, traversing 218 km (118 nautical miles) from Bizerte on the northern coast of Tunisia to Villasimius on Sardinia, Italy in the Tyrrhenian Sea in 2010. At the age of 57, Brancato completed the Maratona delle Eolie, an assisted stage swim of 4 days, swimming 125 km between and around 7 Aeolian islands in Italy in 2012. At the age of 58, Brancato completed an assisted stage swim from Ostia, Rome to Olbia on Sardinia across the Tyrrhenian Sea in Italy in 2013. At the age of 59, Brancato completed a 140 nautical mile (259 km) assisted stage swim of 8 days from France's Porquerolles Islands to Stintino on Sardinia, Italy in 2014. At the age of 61, Brancato completed an assisted stage swim, swimming 55 km from Alassio in northern Itlay to Monte Carlo, Monaco in 30 hours with two stops in Imperia and Menton in 2016.